So the girls are afraid that they will be lonely while I am gone so her is your enticement to visit them! I will send a note each day! So we got home around 2:30,but Mary fell asleep and I had to call and wake up Alice. I think I was finally home in bed by 4:30 am!! 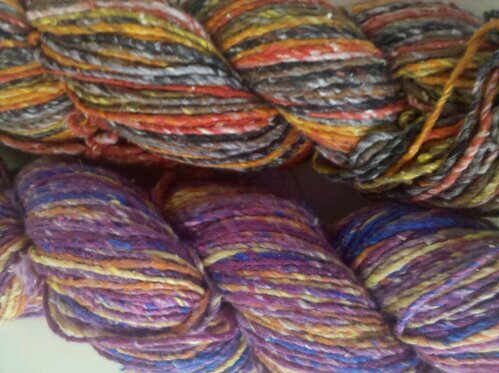 While I was gone we got in 2 new colors of Kudo from Plymouth Yarns. 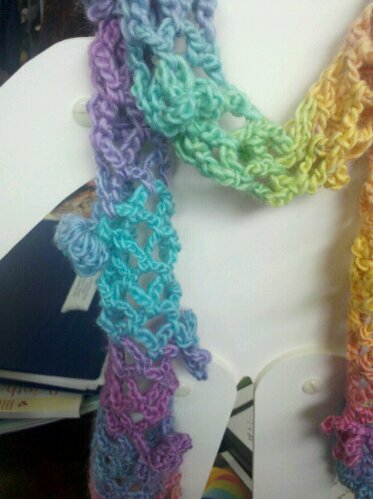 New Crochet. 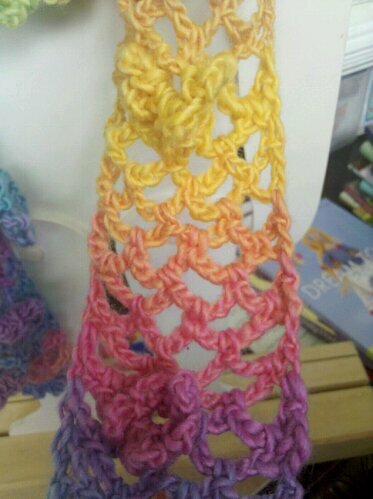 Class – beginning crochet scarf. Date April 7 -10am-12 or 6-8pm. Class cost $10. Plus materials which are a G size hook and 2 ball Mochi Plus. Susannie says this is for beginners to experts!! I will write more soon (joy ) about the In Store Reteat, Knit Camp and the next Overnighter! So the cruise was awesome! However Carolyn got pulled out by customs when we left the ship, I got frisked going through airport security to the point that Mary Ann asked if I needed a cigarette, and now into our 18th hour of travel they are getting us a new plane because one of the engines won’t start. Hope the rest of you travelers are tucked snuggly in your beds!!! But you must agree those were some of the best mattresses ever!